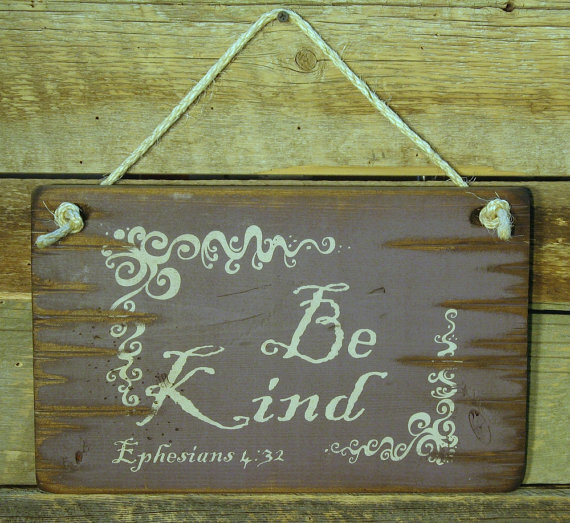 Be Kind-Ephesians 4:32. This sign reminds you to always be kind. This purple background signs measures 9x14 and comes with the grass rope hanger for easy hangning! Handmade with pride!